BRIAN Stockbridge should resign over his alleged leak of video showing a drunken Malcolm Murray, according to the head of one of Rangers’ largest supporters’ bodies. Video emerged over the weekend showing Murray, the club chairman, drunkenly shouting while on a night out in London. The Daily Record reports that Murray believes he has been set up by Stockbridge in an attempt to remove him from his post. Now Andy Kerr, President of the Rangers Supporters Assembly, has called for Stockbridge to stand down. Kerr told the Record: “It’s unbecoming of the club. The lack of class is not something Rangers fans have been used to. “If we’re at the stage where the level of trust between the people running the club is so bad that they go behind each other’s back taping incidents, then release them on the web – it’s a sorry state of affairs. 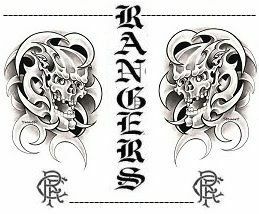 The Rangers Supporters Assembly is an umbrella group made up of a range of supporters’ groups and other interested parties. It holds regular meetings with the Ibrox board, and receives funding from the club as well as the use of office space inside Ibrox. The Assembly was responsible for organising the boycott of this season’s Scottish Cup tie at Dundee United, although its vice-president Ross Blyth resigned after himself attending the game. Kerr has been critical of the Ibrox board in recent weeks, and called for the executives to resolve their differences or risk losing out on season ticket sales. Rangers’ official website describes Kerr as “the official spokesman for fans in the media”.